Type A Projects served as in-house capital project manager for this mixed-used educational, community, and affordable housing facility, built on land purchased from the New York City Housing Authority. This groundbreaking project created a permanent home for many vital community resources, including: a community school with more than 50% of its students residing in NYCHA housing; a flagship office for Harlem RBI; a community facility; 89 units of affordable housing; and a newly renovated public park. As development consultant, we represented ownership through the completion of core and shell construction, managed a complicated flow of more than $50MM in funding including NYC School Construction Authority capital funds, New Market Tax Credits, NYC Council funds and private philanthropy, and facilitated communication to an extensive network of stakeholders. 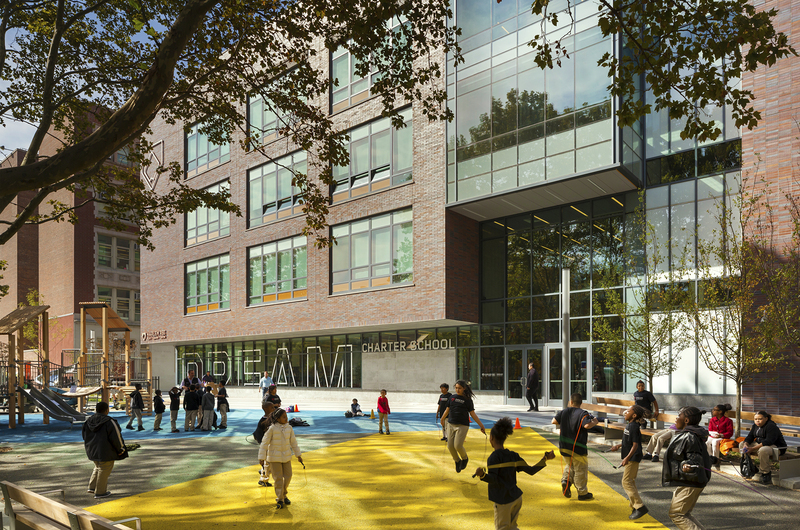 The new facility includes 22 classrooms, fitness spaces, a gymnasium/auditorium, a multimedia room, community meeting rooms, rooftop classrooms for art and science, 5,000 square feet of Harlem RBI offices and 89-units of affordable housing.